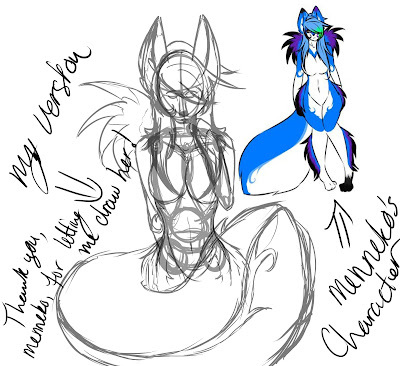 Phlox Creations: Menneko's Character: W.I.P. I'm working on this drawing for my friend Menneko. I will work more on it tomorrow. Hope you like it so far.